The health and fitness industry is pushing us to debate what is the magic number of how many calories to lose weight. But what are they not telling you? Find out in the video! What did you think? Share it! That’s what the average person wants to know and the answer is simple. First you must find your maintenance calories and then you must create a deficit. Traditional logic dictates than the average man would need to eat 2500 calories per day to maintain his weight and 2000 calories per day to lose one pound per week (due to daily deficit of 500 calories). An average women would need 2000 calories to maintain and 1500 calories to lose one pound per week. It’s now common knowledge that a pound of body fat equals roughly 3500 kcal, that’s 3500 calories to lose a pound The logic being calories for weight loss is that since the calories in fat are a way for our body to store energy, if we can create a caloric deficit, we can then burn the excess storage of body fat or in other words “lose weight”. In order to do that we must first understand how many calories we use everyday, and then force our body to ago on with a small deficit, usually around 500-1000 less than what we need daily. The average person is estimated as follows: Your BMR (“basal metabolic rate” or how many calories you burn just being being alive and going about your day), is averaging around 2000 kCal . The exercise you do is an extra 500 cals burned) Put simply, to “break even” from an energetic point of view, you have to “eat” 2500 calories which is your BMR + the estimated calories you burn through your workout. These are the calories needed to maintain weight. If you eat more = you’ll store fat! Surely, if you eat less = you’ll burn fat? Eat the same figure = you’ll break even and maintain your weight. The common advice then would be to eat 1500-2000Kcal a day, which would amount to a deficit of 500-1000Kcal from the original figure of 2500Kcal. That means that a heavy person might think, I want to lose a weight and therefore I should eat 250 calories less every day, while I burn additional 250 calories through exercises. A simple calculation shows us that a deficit of 500kcal over a period of 7 days amount to 3500kcal, or the same amount of calories found in 1 pound of body fat. Furthermore, 1000Kcals doubles that amount to 2 pounds. Indeed, we are being told that healthy weight loss is of 1 to 2 pounds a week. You heard it before, right? I dare you to think outside of the box! In the video above, as well as the written material below, I aim to make a strong case against the use of calories, especially in the context of weight loss. Smart design working behind the scenes to get you better results. Discover why breaking triglycerides into fatty acids before burning fat is the only way to guarantee better results with weight loss for a flatter stomach. Have you ever gone out with friends, had too much to eat yet woke up the next morning weighing the same? Have you ever tried to diet and exercise with little to no changes in weight? Check out this video! Everyone are so concerned with “how much food”, “how many calories do I need to burn to lose weight”, “how many days a week do you train” – we are all thinking numbers. But do calories really do add up the way we think they do? I think not (the video above makes some very good points – watch it!). I’ve been asked this question a million times and yet my answer remains simple: calories relates to a theory that makes less sense than what you are led to believe, which leads me to believe that we are asking the wrong questions. I always thought something in the numbers never quite add up! This whole notion of reducing the human body to calories coming in or going out, didn’t seem to fit any rational way of thinking whenever I was researching any hormonal reactions. It was almost as if “Calories” and “Metabolism” were two headlines. It’s all about the calories until it isn’t – then it’s about metabolism. What is metabolism? Oh… it’s the sum of metabolic reactions which all consume calories. See, it’s all about the calories. Really? I think it’s fair to say that the research behind it, or the understating was loose to say the least. Don’t get me wrong. 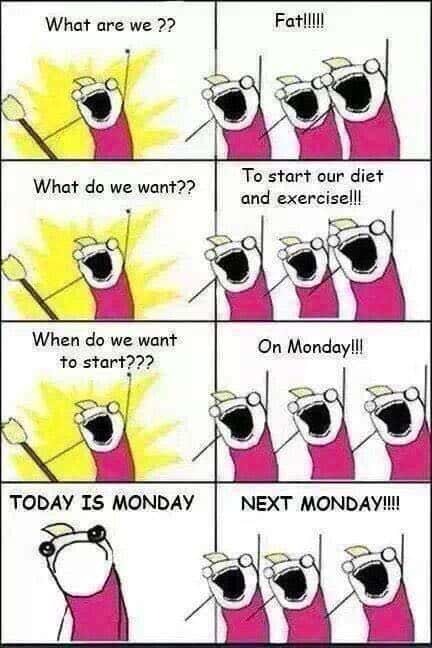 I didn’t discover about calories today and decided I don’t like them. 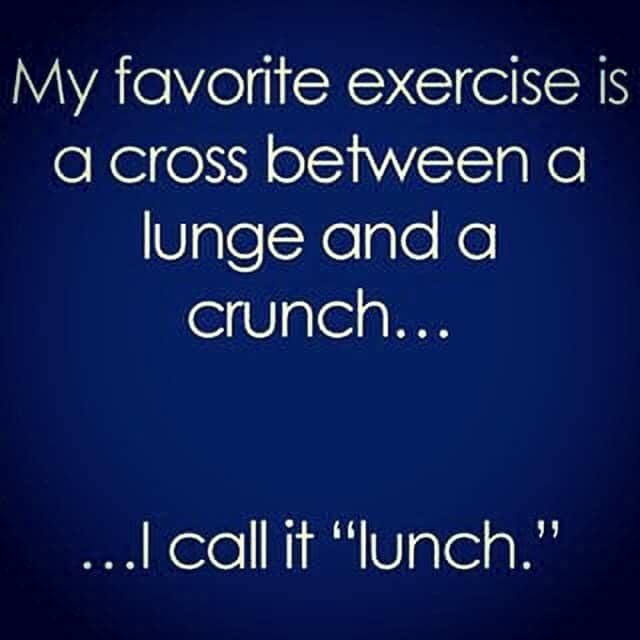 I’ve been through all the hoops, heck – I’m a fitness professional and that’s what I do for a living and let me tell you something else: Many fitness professional preach calories indeed but when we chat about the science, it’s clear neither of us really understand them or can answer the difficult questions. Am I the only one confused by this? Do you know any other example where researching more reveals how little we understand? Follow fitness magazines and mainstream tv and you will find that it’s all about calories. To be exact, 3500 Calories in every pound of fat so you could start counting exactly how much you eat vs how much you burn out by working out, eating other stuff or even resting (calories burnt at rest). Even health websites will give you this general advice but I would strongly go against it. With good reason. Calorie intake for weight loss may play a general role when you determine quantities of macro-nutrients. However reducing the entire human biology and endocrine system into a simple math equation of calories in / out… no wonder we run into so many questions. You might decide to use a food calorie calculator to look up how many calories are in bananas or how many calories are in avocado. While the calories in avocado might seem very high, they come mainly due to the high content of fat (which comes in a form that’s good for your body). This would be similar to the notion that ketogenic diets (which are high in fat) are actually high in calories even though they are great for weight loss. Based on calories alone, you might come to the conclusion that the avocado is not a good idea but that would be the wrong conclusion to draw. In the case of a banana, not only the estimate is hard to gauge (how exactly do you define a small banana vs a medium, large or extra large banana? ), it’s ever so more complex when you realize that the greener a banana is, the more prebiotic fiber it actually contains (which doesn’t absorb as blood sugar). Prebiotic fiber in the context of green banana, not only is “calories that don’t count” but in-fact, it helps you feed good gut bacteria and metabolize other foods with greater efficiency (which is different to any traditional dietary fiber). This means your calorie counter just failed you, as calories alone cannot tell us that a high calorie food may actually be beneficial for weight loss and that a high calorie green banana can actually be a path to a good metabolic health. I’ve met people who run for an hour because they are trying to offset a piece of toast. Everything they are doing is panic about what they eat and how they can offset the “damage”. Get over yourselves, calories to lose weight are overrated. The energy theory never takes into account the break and burn cycle with fat loss. When you “burn calories“, are you breaking fat? wasting water? burning fat? producing “ATP”? Let’s say low-intensity exercise for 10 minutes would burn 100 cals which can be burnt in 3 minutes of high-intensity exercise. BUT… Even when burning the “same” amount of calories, the low-intensity exercise will lead to less fat loss. Low-cal drinks make you fat. It has to do with the chemicals and sweeteners inside. When we created sweeteners, we may have taken the calories out, but not the fat gain. So much for diet coke even if they fall within your recommended guidelines of calories to lose weight. Fat have 9 calories per 1 gram. A carbohydrate have 4 calories per the same amount. Guess which one is more likely to make you gain fat? that’s right – the carbohydrate! How many? 3500 calories to lose one pound of fat. Next time you obsesses about counting how many calories to lose weight, I dare you to think of this: you eat more, you poop more. I hope you’re not going to try and calculate the calories lost there. Lastly, calories are a way to measure how much energy it takes 1 gram of water to heat up by 1 degree Celsius. No clue how we got from this to conclusions about weight loss. The legal margin of error on food labels clearly shows there is no reliable way to count the calories coming in, it’s simply impossible. It gets even more frustrating when you think about how we calculate the calories we burn out. Think about it, does a machine really know how to estimate who’s walking on it, their various metabolic states happening at each and every moment and the fact that bad movement and sheer forces on the joint can actually burn more calories, all while creating damage elsewhere. The problem is not will power. It is our human-nature, we avoid complex (and correct answers) and stick to simple (and incorrect) systems. The media, gym and the whole fitness industry ins’t any help. They consistently teach us overtime to rely on calories, even though we can’t. It’s good for marketing, it’s simple and it tells us we need to take action. But what do we do when something doesn’t add up? We usually bring up “slow metabolism” and usually when asked questions about metabolism, we are referred back to calories. This is the joke that keeps on joking. We repeat back things we have heard ourselves, even though the logic behind them can easily be questioned. I will be stupid to claim I know everything, ever more so, stupid to claim science know everything. But I am brave enough to think outside of the box and ask what do we actually know, what is reliable enough and can we drive a better system, using things that are backed up in science. Has anyone ever told you to eat before training so you can have energy? The logic is you need energy to work out hard in order to burn energy. So you get energy to burn it? I wish that was the end of it but it’s not! Some of us dig a deeper logical hole by explaining it will elevate your metabolism allowing you to burn more calories later on. Well, if high metabolism and calories to lose weight were a smooth theory, that might have worked. The problem is that by eating beforehand you are raising insulin and not allowing your body to oxidize fatty acids, therefore not burning body fat. Have you wondered where are the “calories” or energy comes from? Yup – glycogen and water… you did exactly NOTHING. This highly relates to the LION Protocol for intermittent fasting – worth a read. We look to diet and limit your food so it fits the right amount of calories to lose weight as you’ve been told by a magazine or a professional. They neglect to mention a simple but significant truth, it’s all gross estimations. Firstly, the food labeling regulations allow for a HUGE margin of error, so that a 400 calories meal, could very well be 600 in reality. Secondly, people look at exercise as a way to burn calories and raise your metabolism but it’s so much more. Outside the limited scope of weight loss, exercise is everything and will determine not just your visual shape but also your long term health. This is not an understatement. Within the limited scope of weight loss, exercise can trigger reactions that diet alone will never trigger. It is wrong and arrogant of us to reduce over 2,000 metabolic reactions and say it’s only 2: calories in and calories out. Not only using a calorie calculator is inaccurate, it can often point you in the wrong direction. In that regards, using a bmi calculator is even worse as it never factors in muscle or water content. THREE – Working harder (on all the wrong things). Let’s assume you are counting your calories to lose weight, eating clean and exercising regularly. Sure, that’s a great start. Now let’s talk about the fact that if you do aerobic before anaerobic you are not going to lose as much weight, or how lack of mobility and arthritis can actually help you lose weight and create further joint degeneration. When it comes to our body there is no simple concept. This is why not all exercise is created equal and not all protocols are either. If you want to get better results, you have to work smarter, and how will you get smarter if you don’t research, read and take a bit of time to learn from the experts? What did you think? Does this change the way you think about calories and weight loss? As humans, we always tend to gravitate towards the simple (yet inaccurate) explanations, rather than the complex (and often far more accurate) explanations. 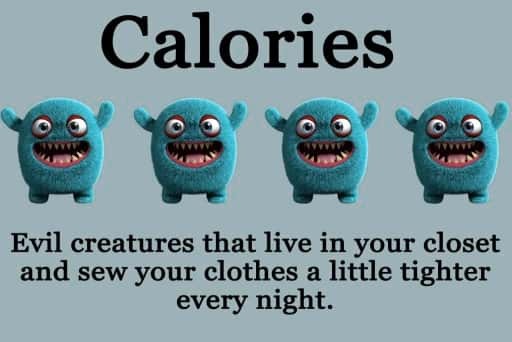 This holds true when it comes to Calories. It is highly possible that we, as a society and an industry, got carried away by putting so much significance into calories. Maybe instead of calories for weight loss, we can see a bigger picture than involves hormones and metabolic pathways. This is what I offer as a solution in the BellyProof program and I believe it served my customers right. After all, why focus on an old system when big questions cannot be answered? Is it better to be a bit confused and open minded or very strict with the knowledge that you might be completely wrong? I’d like to keep an open mind and investigate. As a basic, over-simplified method, calories can work. If you take a calorie per day calculator, reduce your food intake and increase your exercise capacity to match, it is likely you will see some positive response in terms of mass reduction. However, if you’re trying to get serious, efficient, knowledgeable and faster about the process, then you can’t reduce the complex human body into Calories in and Calories out (CICO), it’s just far more complex than we would like to admit.